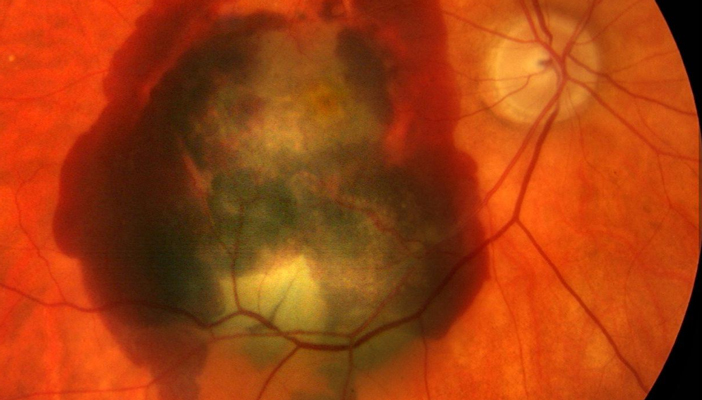 A pioneering trial of a new treatment derived from stem cells for people with wet age-related macular degeneration (AMD) has begun at Moorfields Eye Hospital, following a successful operation on a patient. Surgery was successfully performed on a patient in August and there have been no complications to date. The patient wishes to remain anonymous, but the team hope to determine her outcome in terms of initial visual recovery by early December 2015. The operation is a major milestone in the London Project to Cure Blindness, which was established with the aim of curing vision loss in patients with wet AMD. It is a partnership between the hospital, the UCL Institute of Ophthalmology, the National Institute for Health Research (NIHR) and Pfizer Inc with the goal of helping to turn the original idea into a potential therapy. The trial will recruit 10 patients over a period of 18 months. Each patient will be followed for a year to assess the safety and stability of the cells and whether there is an effect in restoring vision. If the treatment is successful, the scientists believe, it could also help patients in the early stages of dry AMD, and could potentially halt their vision loss.